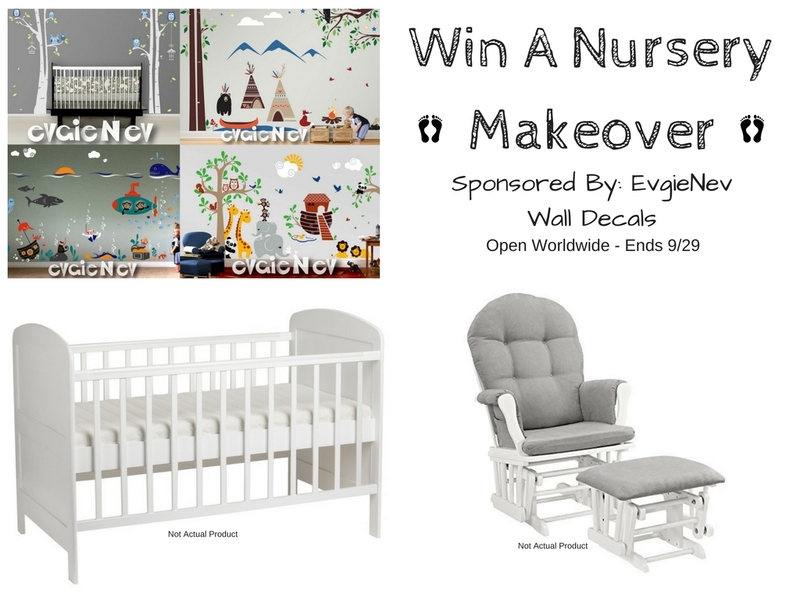 I've heard so much about Evgie Wall Decals and I'm so glad I get to be party to this giveaway for y'all! This information is brought to you by Evgie Nev Wall Decals. All opinions are my own. Having a baby is an amazing and life changing event! There is so much to do to prepare for the arrival and so many things to buy! That's why EvgieNev Wall Decals wants to make it easier for you to get your nursery ready or to just redo your current nursery! 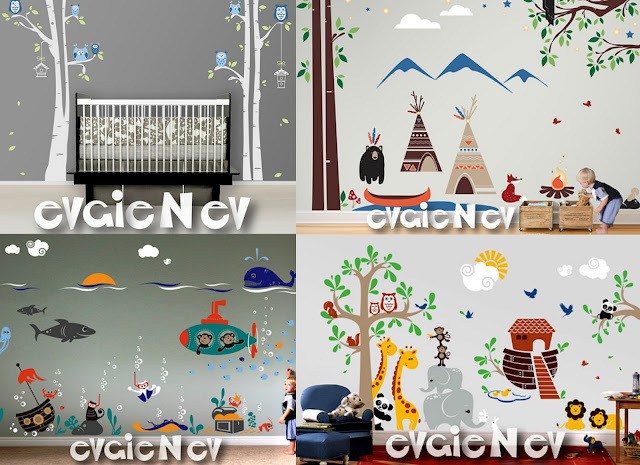 Evgie Wall Decals are more than just decoration for nurseries; they are detailed themes with animated characters, live illustrations, and designs. The decals are very educational and help to develop your child's imagination and cultural knowledge of the world around them. Their NEW Noah's Ark Theme Decals is packed full of playful animal pairs, including Elephants, Lions, Pandas, Owls, Giraffes, Monkeys, Squirrels. As you can see, there are so many to pick from! You can visit EvgieNev to check out all their wall decals. Now for the giveaway! 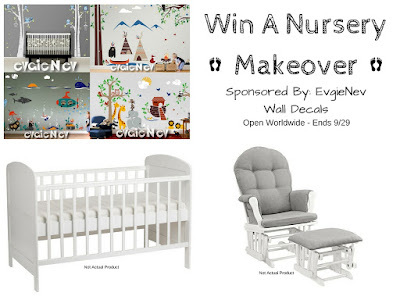 One lucky person is going to win a few items that will get you some essentials for your nursery! 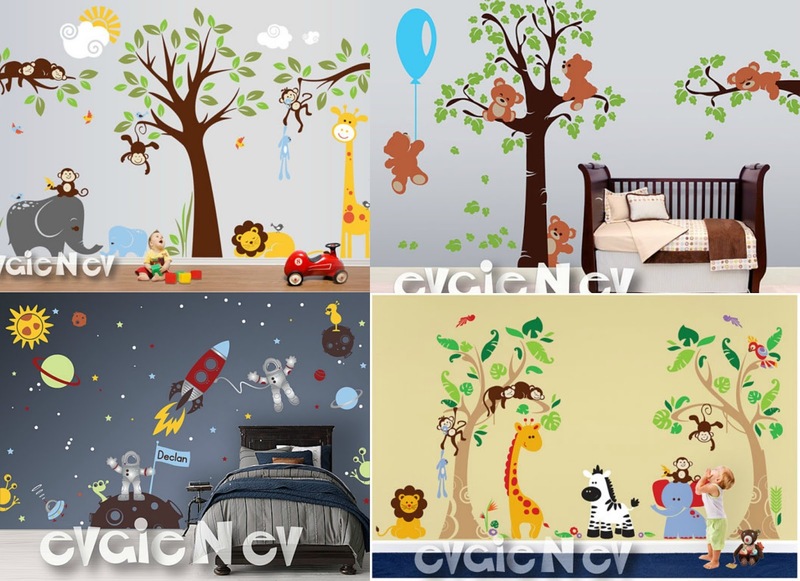 I would love to get the Cocalo Jacana Bedding, Nursery Wall Decal - Baby Wall Decals and Monkey Wall Decals - PLMC010L. All of them are so cute and would be wonderful!